Stock of iron ore is piling up at the mines in Karnataka, despite constant reminders to various authorities by miners. The major reason is continuous imports. The miners have now approached the NITI Aayog, seeking intervention. Miners from Karnataka have urged the NITI Aayog to take measures and they referred the letter written by the state Chief Minister H D Kumaraswamy to the Prime Minister Narendra Modi, seeking intervention. Chief Minister H D Kumaraswamy has written to the Prime Minister about the rising import of iron ore, and has sought an increase in basic customs duty on the mineral. 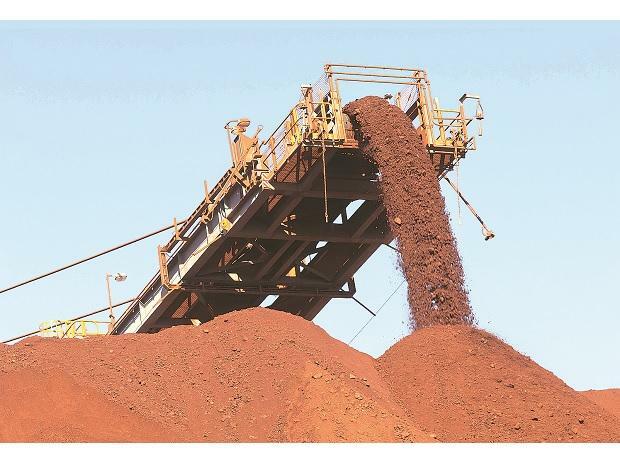 The development comes amid an increase in import of iron ore in Karnataka, which has resulted in the current unsold inventory piling up to 5 million tonnes, with the total loss to the exchequer estimated at Rs 960 crore. H M Khyum Ali, director of the Federation of Indian Mineral Industries (FIMI) - Southern Region, said that even as the financial year-end is approaching, there has been no improvement in the situation. FIMI estimates that the mining industry, including government entities NMDC and MML, will not be able to produce or sell up to the permissible capacity given the pile-up in stock. Miners may have to resort to distress sale, consequently causing heavy loss to the industry and the state exchequer. FIMI added that with environmental clearance for production up to 35 million tonnes (mt) per annum from 30 mt earlier, miners ramped up their output but the simultaneous increase in imports has resulted in the piling up of huge inventory. Iron ore miners in Karnataka work under a restricted environment, in which they can sell ore only domestically, though the steel industry is free to import. Steel industry officials say that following the suspension of the mining function of NMDC Donimalai, there has been shortage of iron ore and hence they continue to import. NMDC, the largest iron ore miner of Karnataka — which functions under the Union Ministry of Steel — sets the benchmark price. The prices in Karnataka are not driven by market sentiments but by major steel manufacturers. The industry body noted that the low import duty of 2.5 per cent was encouraging steel players to import. Import of iron ore in November was 0.38 mt and in December it was 0.19 mt.